The Bubblegum book ladder is a fun and creative book display unit designed for use in early years within schools, pre-schools and nurseries. The mobile book ladder is carefully constructed from 18mm MFC in a fresh Japanese Ash finish. 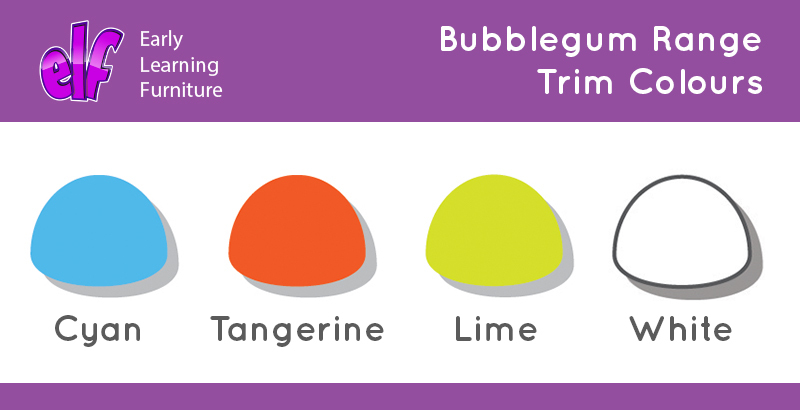 Choose from 4 vibrant trim colours – cyan, tangerine, lime and white. Perfect for adding a splash of colour to your school library, classroom or reading corner. 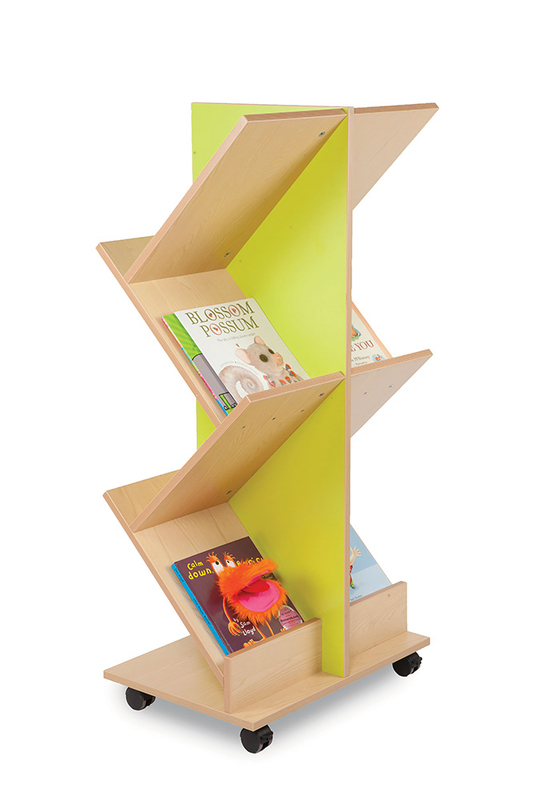 The Bubblegum book ladder features 4 angled shelves on each side providing easily accessible book display space which can be used for books, magazines and leaflets. Supplied with easy glide castor wheels making it hassle free to move if required. See our full range of book browsers.